Chania Airport CHQ also called the Souda airport is the second international airport on Crete Island located in the Akrotiri peninsula. Mission Travel services provides car rentals in Chania airport for the travellers wishing to rent a car in Chania International airport upon arrival. Travelling in Crete by self driven cars gives you independency and privacy, stop and move with out any limitations while exploring Crete's wondrous beaches, interesting marine life, historical sites, hilly terrains and the exotic flora and fauna. Mission Rent a Car in Chania Crete has a wide variety of good condition automobiles fleet to meet individual needs of any size as well as travel groups. Mission car hire in Chania airport offers all type of vehicles, mini, economy, family open, convertible and jeeps for a more airy and open view travel experience, as well as rent a mini bus service for comfortably seating small groups in one vehicle. Not to leave out the tourist who would prefer using a motorbike for travelling the length and breath of the island, we provide the rent a motorbike and rent a scooter service as well. For the ones who would like more adventures and exciting travel experience either on the roads or on the sandy beaches or even on the rocky terrains, our rent a quad and rent a Enduro off road service would get you the required thrill . 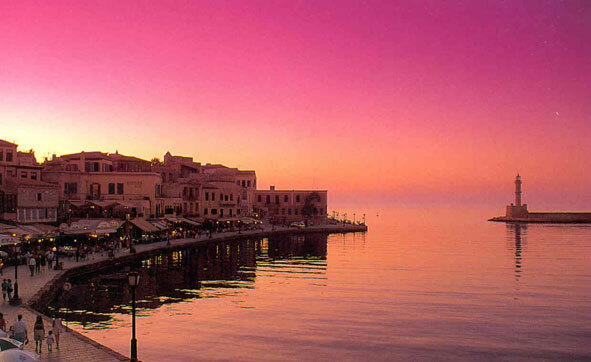 We provide rent a car specials at Chania Crete Airport CHQ all year around as well as the peak season. During the rush months many car rental companies charge significantly more than the off season rates. Mission strives to provide cheap car hire Chania airport services even during the peak time rush by maintaining insignificant price differential between the two rate periods . If you are looking for reliable discount rent a car Chania Airport service provider , Mission Travel Services would be glad to serve you .